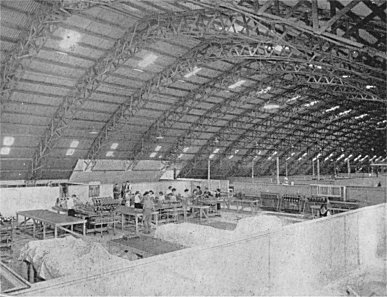 The GMH Allison Overhaul Assembly Plant "Igloos" were located on Sandgate Road, Albion on the banks of Breakfast Creek just around the corner from the famous Breakfast Creek Hotel. 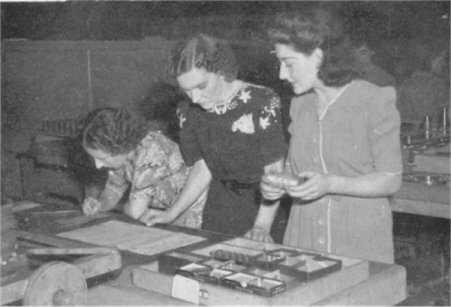 One of those who worked at the Allison Overhaul Assembly Plant was Edwin H. Oribin who was only 15 years old when he started there in around August 1942. Ed Oribin was by far the youngest person working there. Ed told me that they did not even have a pay rate for a 15 year old so he started on the lowest rung of the ladder. He could not remember what his pay rate was, but as he said in those days with the "Japs coming" he guessed they were only too happy to employ anyone who was available, and Ed was mad on aeroplanes and just as keen to get out of going back to school. 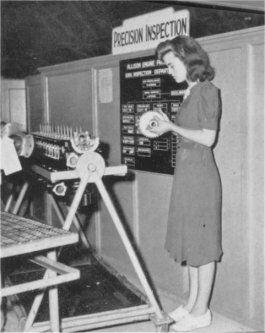 The Americans who set up and ran the Allison Overhaul Assembly Plant were civilian employees of General Motors, but they wore American military dress and were paid 20 Pounds (20 Quid) a week. The senior rate for the Australian men was 7 Pounds something. Ed told me that they were a great bunch of guys and in retrospect were very organised and efficient as there were only 5 or 6 of them who set up and ran the whole place. The only name that Ed can remember was a tall slow skinny guy called Tex who used to on occasion light his cigar with a rolled-up 10 Shilling (10 Bob) note. Ed said "Those guys had so much money they didn't know what to do with it." After all this time Ed is unable to remember many names. His best friend there was Jim Mulcahy who worked in break-down and was a fellow model aeroplane builder. 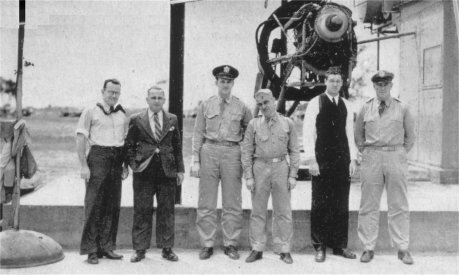 Ed Oribin worked in a final assembly crew of 4 or 5 and they assembled and completed an engine a day. 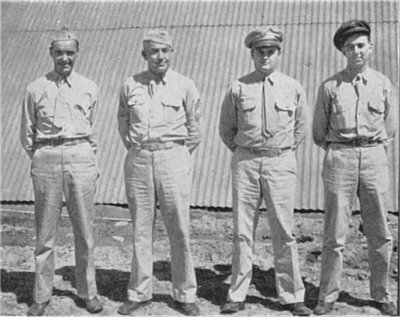 Ed's crew leader was Mick Wren. Arthur Estaffe who owned the Estaffe Dance Academy in Brisbane and George Perrins were on his crew and the only other person he has a clear memory of but he cannot remember his name was a great big fellow who used to throw an epileptic fit every week or so. 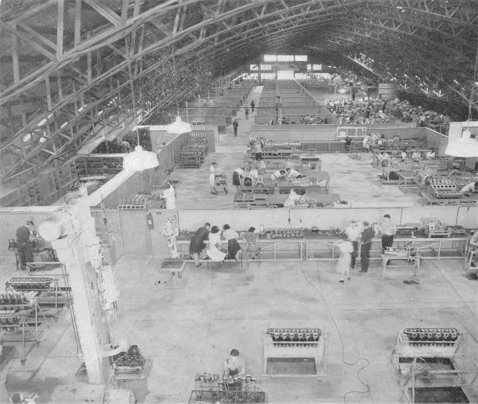 All the people in break-down and final assembly were men, but Ed said that the women did most of the precision inspection and re-work. 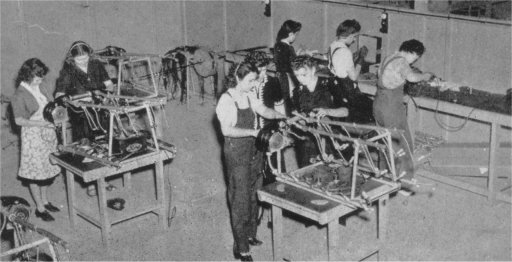 Each of their crews had a girl "runner" who went to the Store for parts or fittings and the new ones were always sent for "striped paint" or "ovary spanners" but once they got the hang of things we used to get some of their own back. The Assembly Plant had music playing all time. "Don't Fence Me In" – "Yellow Rose of Texas" – "Deep in the Heart of Texas" – "The A Train" – "Home on the Range", etc etc. Everyone had an old fruit tin with a brass wire handle for making their tea and at morning tea time someone else and Ed Oribin would go around and collect them all on a long wooden stick and go through to the next building which was the Canteen and get them filled with boiling water and bring them back. At lunch time they ate in the big area in front of the factory and played baseball catching with the American guys. 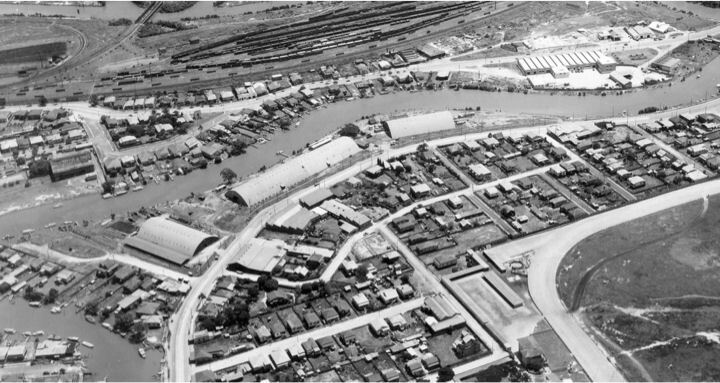 On several occasions Ed went out to the GMH Allison Engine Testing Area at Eagle Farm Airfield and the noise and action out there was in stark contrast to the quiet efficiency of their Factory. 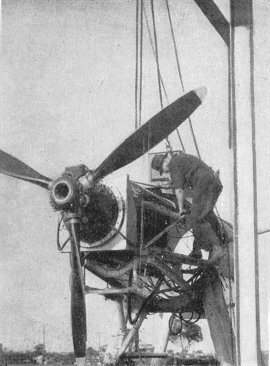 The engines were run with full size propellers, so they were mounted high above the ground. The reduction gear for the Airacobra engines was on a separate stand and was connected to the engine by a short 2 foot shaft. Ed Oribin went out there one day to retrieve a wrecked engine which had over-speeded when the propeller and the reduction gear had parted from the 2 foot shaft and took off and sailed over the fence into the bush just like a helicopter. It is believed that someone had forgotten to tighten the connecting bolts properly. Ed wonders whether there are still signs of the big hole in the concrete in front of the engine where the propeller hit before it took off. Plant "Igloos". 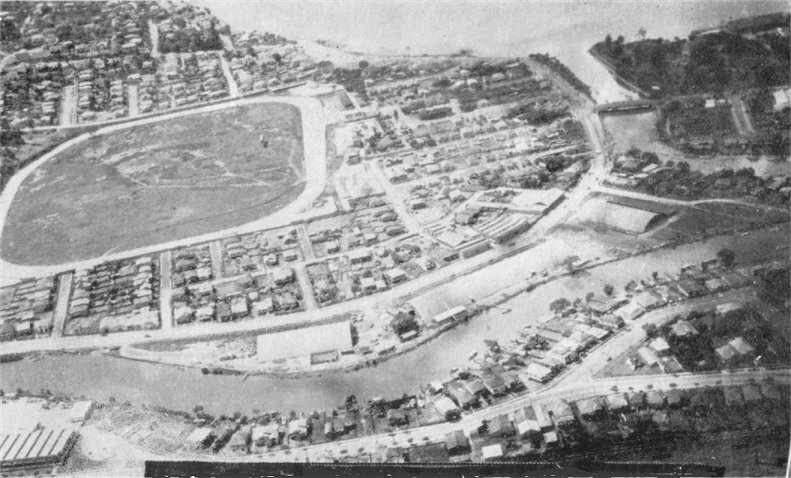 Albion Park racetrack can be seen at the top of the photo. 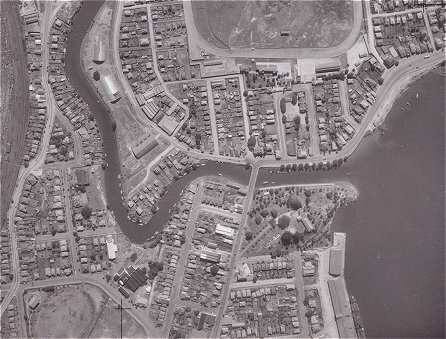 Newstead House, can also be seen with Breakfast Creek immediately to the north of it. 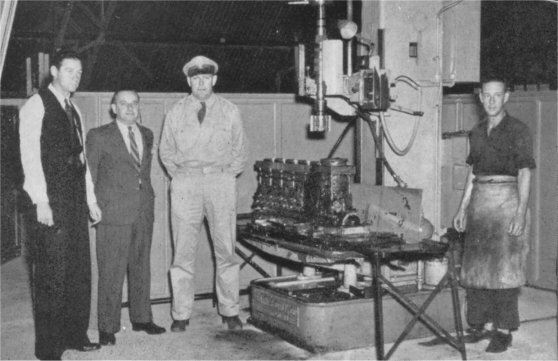 GMH was given a challenge by the 81st Air Depot Group to deliver their first overhauled engine in 8 weeks. 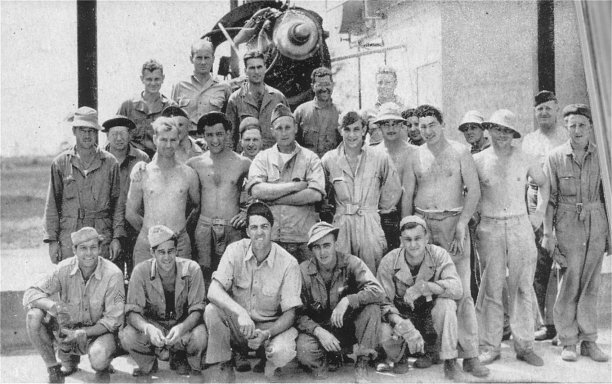 GMH delivered the first engine to the 81st Air Depot Group on 15 November 1942, just 7 weeks after being given the task. 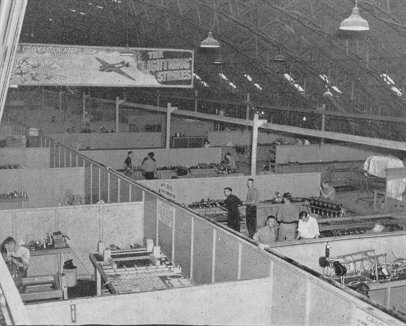 In that 7 weeks, GMH had 50 or so contractors build a plant along with providing 1,500 special tools and 300 assembly stands. 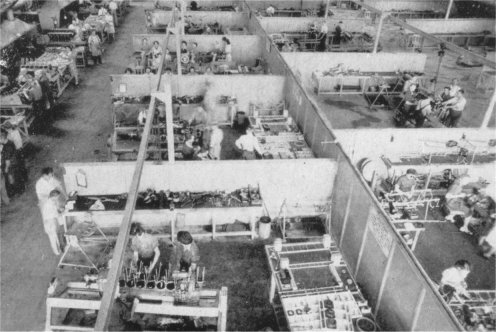 They erected partitioning, monorails, electrical services, water, and gas supplies and 180 men and women were trained in overhauling internal combustion engines. 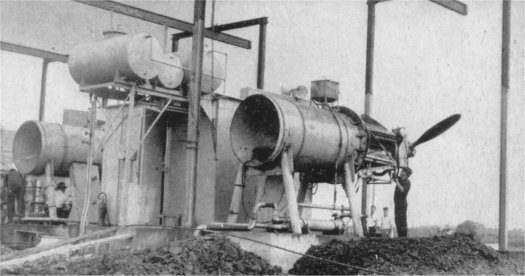 The Allison engine was an in-line, liquid cooled V12 engine used in fighter aircraft such as the Kittyhawk. 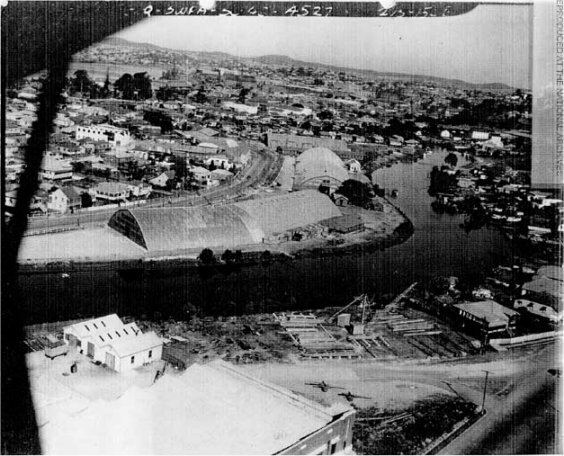 Initially the plant took up 20,000 square feet which allowed the overhaul of 5 engines per day. 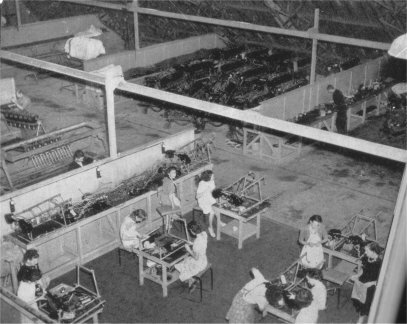 Within 6 months the floor space was increased to 40,000 square feet to allow the processing of 10 engines per day. 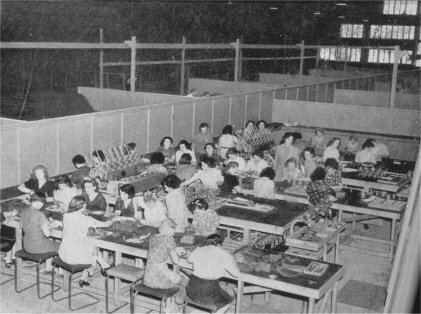 By that time there were about 530 employees working at the Allison Overhaul Plant. 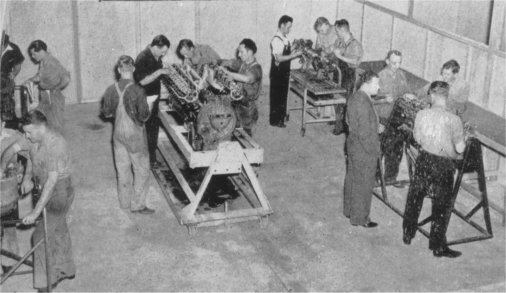 From 11 May 1942 until 11 May 1943, GMH in Brisbane carried out overhauls on 375 aeroplane engines. 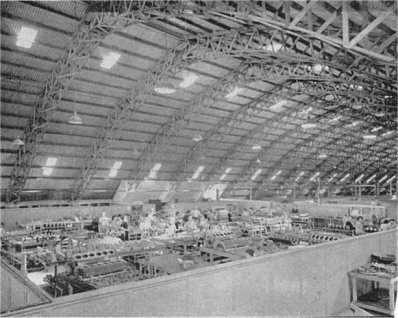 The engines were tested at the Allison Testing Area at Eagle Farm Airfield. 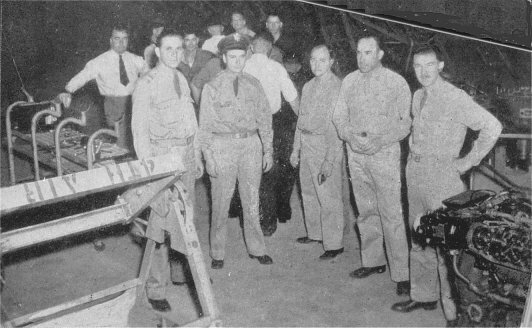 "Our Co-operation keeps them Striking - The Lightning Strikes"
It is believed that the following photographs were taken at the Allison Testing Area at Eagle Farm Airfield. 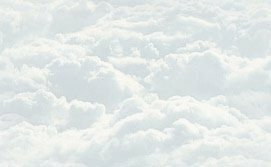 I'd like to thank Bob Livingstone and Edwin Oribin for their assistance with this home page. I'd like to thank Roger Marks for his assistance with the NARA photo for this home page.